VICE-PRESIDENT Constantino Chiwenga reportedly stopped controversial businessman Wicknell Chivayo from donating towards the hosting of the just-ended Miss World Zimbabwe pageant, NewsDay Weekender has learnt. Chiwenga’s wife, Marry, is the licence holder of the pageant, which is run by the Miss Zimbabwe Trust. 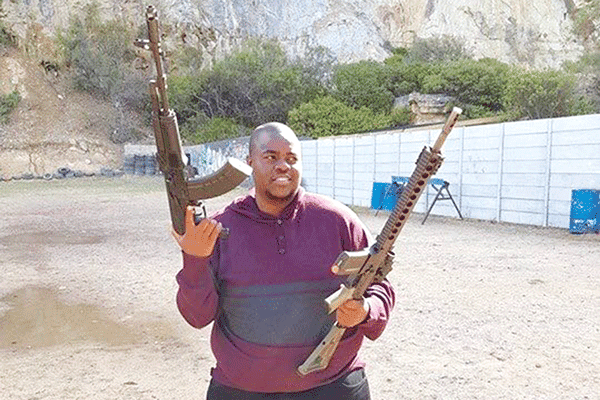 Highly-placed sources who attended the event in Domboshava last week said Chivayo wanted to attend the event and allegedly “steal” the show with his usual antics of throwing around money, but found Chiwenga in a no-nonsense mood. “He indicated he wanted to donate towards the pageant. The Vice-President (Chiwenga) and his wife (Marry) were already there. Vice-President Chiwenga did not mince his words, telling Chivayo he did not want to see his donation,” NewsDay Weekender heard. After the snub, Chivayo decided against attending the event. Contacted for comment, Chivayo referred questions to the Miss Zimbabwe Trust. Efforts to contact Chirau later drew blanks. A convicted fraudster, Chivayo is currently in the eye of several investigations as well as facing trial for, among other things, fraud. Two months ago, Chivayo was arrested, reportedly in relation to his dodgy business deals. An elite corruption-busting unit, the National Economic Conduct Inspectorate, has been on Chivayo’s case since December last year. The Intratrek director is involved in a questionable Gwanda Solar Project with the Zimbabwe Power Company from which he reportedly fleeced some $5 million after failing to deliver on his contract. However, the controversial businessman, with close links to former First Lady Grace Mugabe, has, instead, blamed the parastatal for the problems bedevilling the project. Chivayo is known for doling out money when he can, including at some point bankrolling the country’s national football team and guaranteeing then coach Kalisto Pasuwa’s salary as the soccer governing body, the Zimbabwe Football Association, struggled to honour its obligations. Acting Prosecutor-General (PG) Kumbirai Hodzi recently raised a red flag over failure by judicial officers to place Chivayo on remand after he was charged with swindling the State power supplier. Highly-placed sources claimed the PG’s office was investigating circumstances leading to Chivayo getting $2 000 bail, with High Court judge Justice Benjamin Chikowero describing the State’s case as “weak” despite the fact that the facts of the matter had not been placed before any court. Hodzi recently also confirmed the investigation with help from a crack anti-corruption unit established by President Emmerson Mnangagwa. The post Chiwenga blocks Chivayo donation appeared first on NewsDay Zimbabwe.